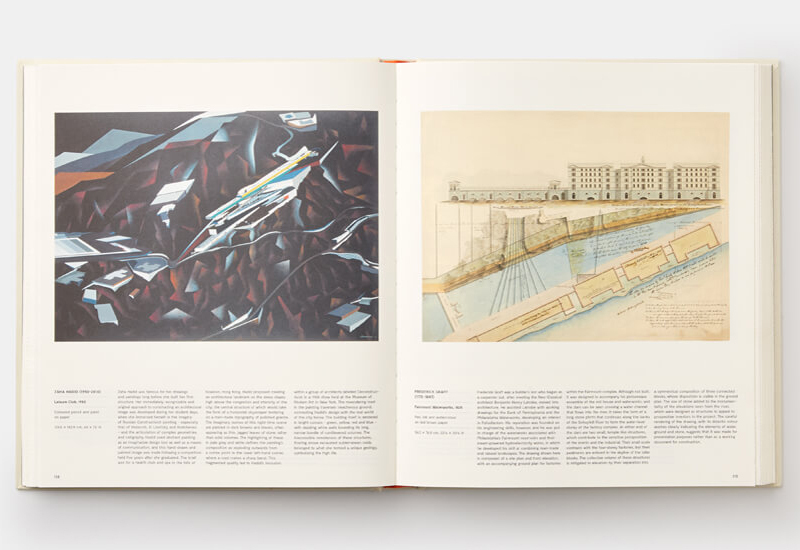 One of Phaidon's tried and true formats is what I'd call the compilation book: one image with descriptive text per page, all geared to a particular theme. 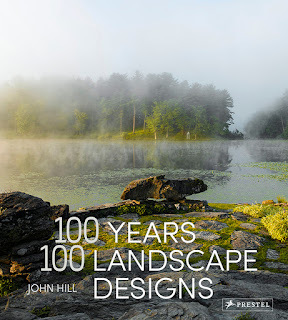 There's The Design Book, The Garden Book, Design for Children, and others related to architecture and design as well as books about art, cooking, and so forth. The success of these titles is certainly related to their subject. 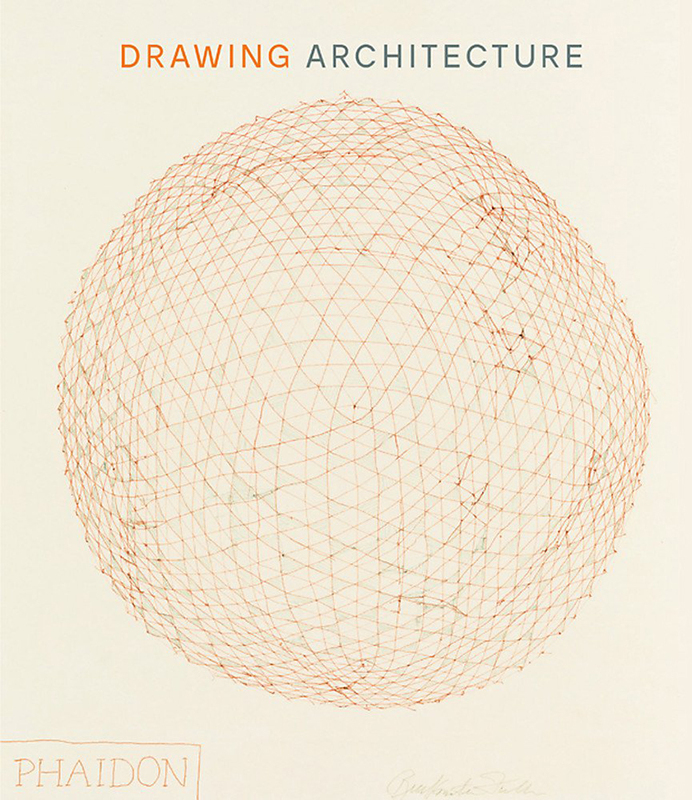 So for architects, Drawing Architecture is sure to please. 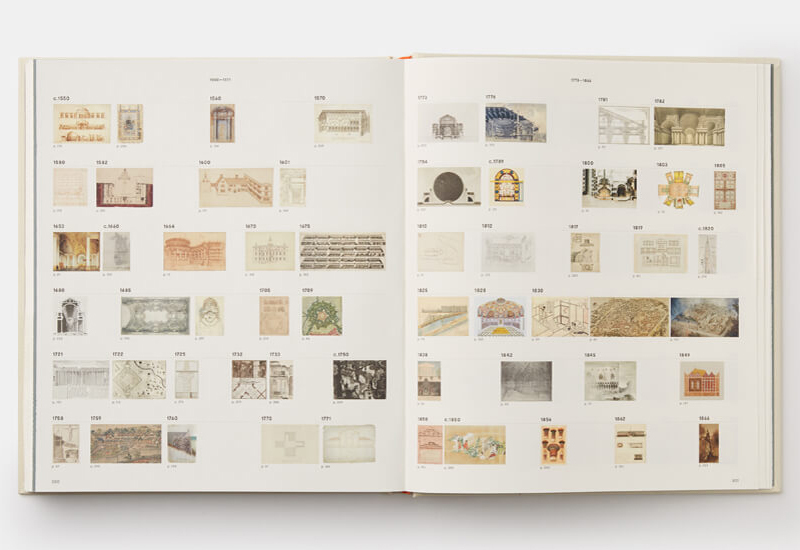 Its nearly 300 pages of drawings range in time from 2130 BC to 2018. But instead of presenting the drawings in chronological order (a timeline at the back of the book, visible as the bottom spread, orders them as such) or in alphabetical order by their creators (as was done in The Garden Book, one of Phaidon's compilation books I'm most familiar with), author Helen Thomas opted for what she calls "an associational approach" meant to "provide imaginative space for the reader to make their own connections between the images." Yet with similarities in terms of color, form, perspective, and other visual means between the facing drawings on each spread, Thomas is already making those connections for the reader. 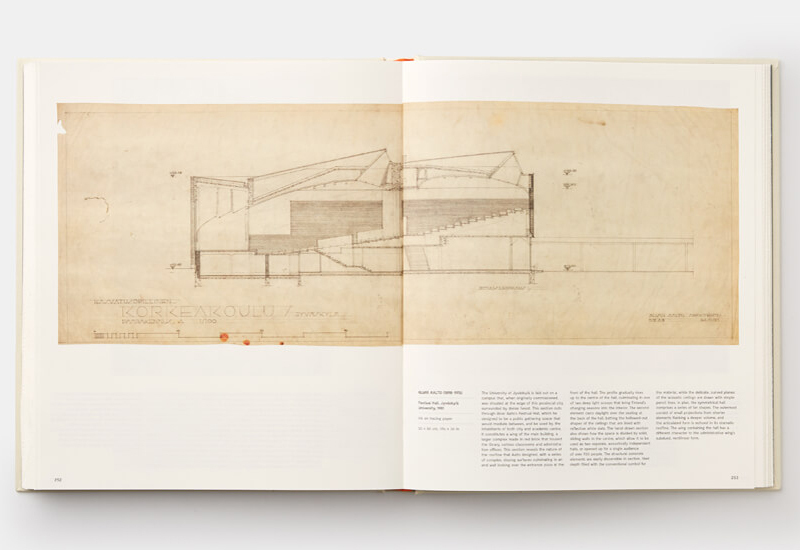 For me, the obvious appeal of the book isn't the connections; it's the individual drawings, some of them instantly recognizable (Boullée's Cenotaph for Isaac Newton, Le Corbusier's Maison Domino, Frank Lloyd Wright's Fallingwater, Bernard Tschumi's Manhattan Transcripts, etc.) but many of them lesser known and therefore surprises to me. Thomas's descriptions are descriptive and analytical, finding significance in the drawings and how they were produced. In terms of the latter, I was disheartened to learn that Diller + Scofidio's iconic graphite-on-wood drawing of the unbuilt Slow House was a computer-generated print rather than a hand drawing (I should have realized that fact when I saw it in person years ago). 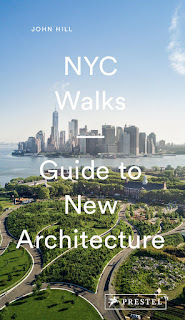 I was also disappointed that Douglas Darden, Lauretta Vinciarelli, Michael Sorkin, and other talented architects were nowhere to be found, but any compilation is bound to have omissions. 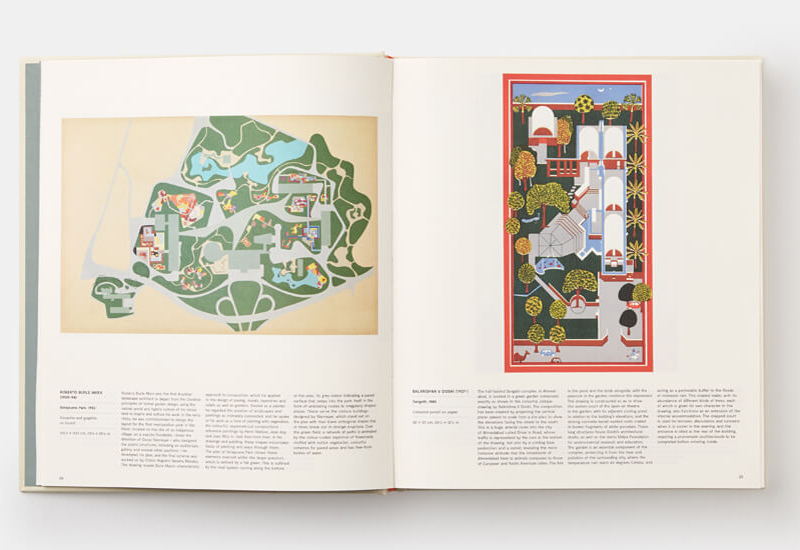 The drawings that did make the cut are on matte pages with uncut edges, making for a book lighter than expected given its size and very handsome; the latter is aided by the embossed cover with its drawing by R. Bucky Fuller. Unfortunately my cover warped quickly after unwrapping, something I wasn't expecting from a book with a cover price of more than $75. Trained and registered as an architect, Helen Thomas spent 10 years as a senior lecturer in London schools of architecture, before moving to the new V&A/RIBA Architecture Collections at the V&A ... She is currently the Senior Research Fellow in Architecture and Construction, ETH Zurich.